BLACK / GREEN COMBO REISSUE - ONLY 150 MADE!! In the late '70s, Dangerhouse Records--that most legendary of punk rock labels--released a handful of indispensable 7-inches and two 12-inches: records that everyone knows, worships and collects. 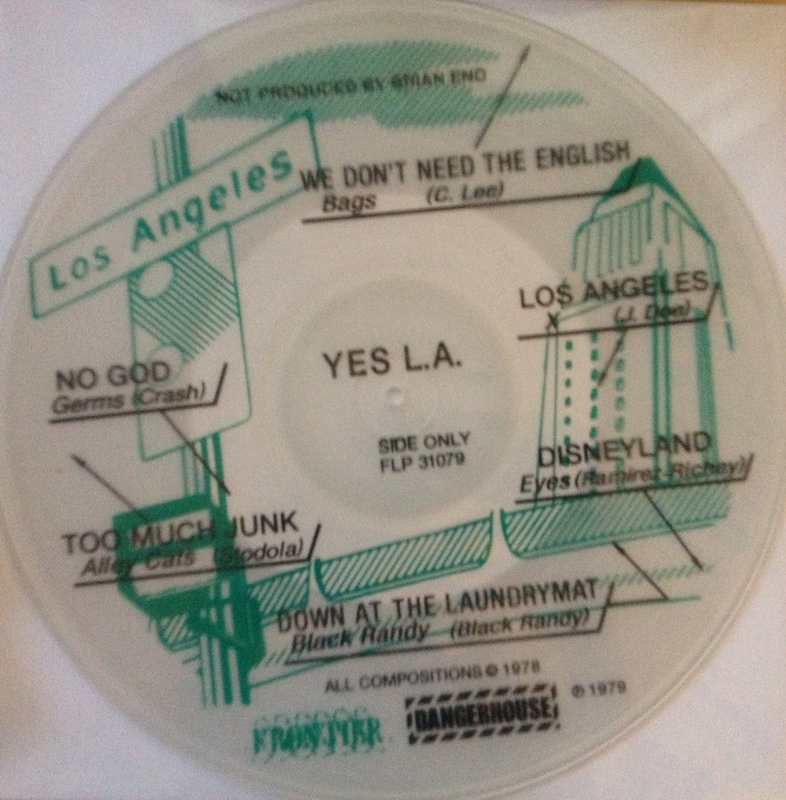 One of the 12-inches was Black Randy's Pass the Dust, I Think I'm Bowie, and the other, released in 1979, was the one-sided, six-song, silkscreened picture EP, Yes LA. The title was a take-off on the seminal No Wave compilation album released a year earlier,No New York, and the Dangerhouse kids even went so far as to include the disclaimer "Not produced by Brian Eno" on the record. The original was limited to 2,000 copies, every one screened by hand and packaged in a clear bag with a white cardboard backing . Frontier Records (with the help of the meticulous Cliff and company at The Factory) has taken great pains to reproduce every detail of the original, from the ink to the bag and cardboard, right down to custom-cut mylar seals for the flap (check out these photos of the "making-of"). Still, there are a couple of difference, but we'll let you discover them for yourself. 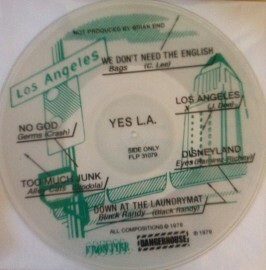 35 years out-of-print, originals of Yes LA have sold for $250 and up. Now you can get your own copy of this fabled LA punk classic!